(Monrovia, November 22, 2017) - The Press Union of Liberia (PUL) has distanced itself from a statement attributed to its Vice President, Mr. Octavian Williams. Mr. Williams is quoted in the media branding the entire Judiciary as a place of harassment, clampdown, depression, coercion and intimidation of the media. According to a PUL statement, Mr. Williams' pronouncement does not reflect the views of the leadership of the journalists' union. The deportment of Mr. Williams, the Union asserts, runs contrary to the functions of the Office of Vice President as provided for by the Constitution of the Press Union. The views of the Press Union of Liberia on the outcomes of litigations involving journalists and other members of the public are treated on a case by case basis. “It is grossly hotheaded to collectively condemn the entire Liberian Court System without an empirical analysis on the works of the court and the deportment of journalists”, the PUL President Mr. Charles Coffey stressed. 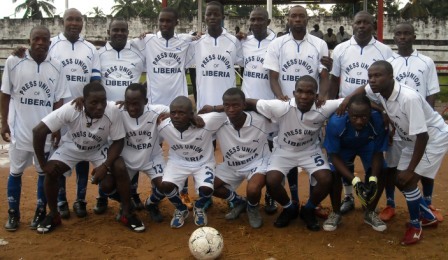 The Union is meanwhile urging Mr. Williams to refrain from his increasing explosive posture which is aimed at undermining the standing of the Union during these crucial political transitions in the history of Liberia. The PUL insists that it remains constructively engaged with the Supreme Court of Liberia, its inferior organs and other democratic stakeholders, including the Legislature in improving the legal operating environment of the media through the decriminalization of speech. This decriminalization of speech, the Union continues is part of the aspirations of the PUL in protecting everyone within the framework of freedom of expression. 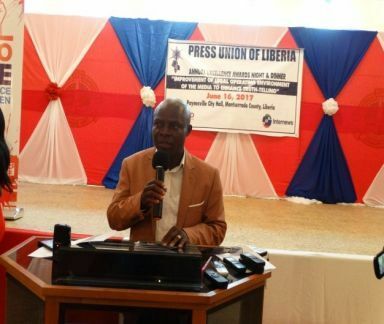 Moreover, the Press Union of Liberia says it is considering the ultimate penalty of expelling media institutions and practitioners who are deliberately spreading inflammatory messages through the print, electric and social media during the course of the 2017 elections. The Union insists that it will move several steps in providing response to a new wave of ethical transgressions whereby journalists are carrying out political propagandistic roles. And in some of these propagandistic roles, some journalists are unashamedly posting death threats for those who disagree with their political godfathers.